If you love your pet’s big, beautiful smile but hate his or her stinky breath, a trip to the dentist may be in order. Bad breath is not normal, and it could be a sign of a serious dental problem. Dental care is extremely important for animals, but it is often overlooked. At Animal Medical Center of Emmett, we offer the expert animal dental services you need to give your feline or canine companion a healthy, happy smile. Pets need annual dental cleanings and checkups just like we do. Plaque and tartar builds up on the teeth and can lead to tooth decay and gum disease. When left untreated, these problems can cause your pet a lot of pain and lead to infections that can spread throughout the body. In time, poor oral health can have an impact on your pet’s entire life. It can lead to a decreased appetite, depression, aggression, and behavioral changes. Having your cat or dog’s teeth cleaned and examined is the best way to avoid these problems. At Animal Medical Center of Emmett, animal dental care is one of our specialties. We understand that most animals do not enjoy these services, but we strive to make them as comfortable and pain-free as possible. If your pet is in need of dental care, please contact us today to schedule an appointment. 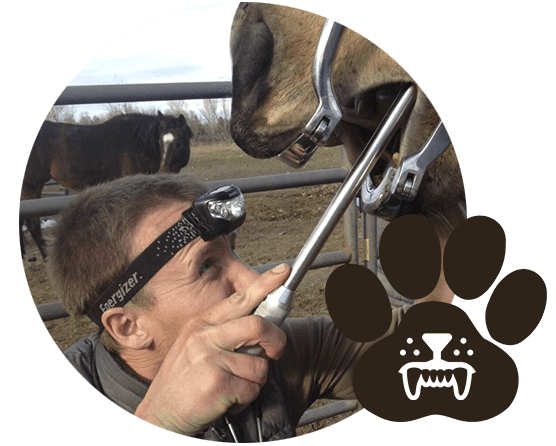 Animal Medical Center of Emmett provides animal dental care for pets in Emmett, Sweet, Boise, Caldwell, Sand Hollow, Letha, New Plymouth, and the surrounding communities in the Gem County, Idaho areas. Animal Medical Center of Emmett is a mixed-animal veterinary practice serving Emmett, Sweet, Boise, Caldwell, Sand Hollow, Letha, New Plymouth, and the surrounding communities in the Gem County, Idaho area. Copyright © 2019 Animal Medical Center of Emmett | Veterinary Marketing & Websites by VetMarketingPro.